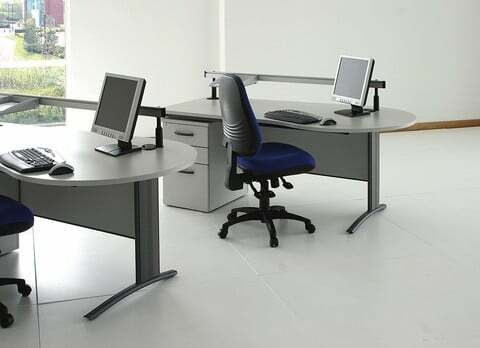 Featuring a stylish end frame which accepts cable management, D3K cantilever desks can also be used with a range of through desk monitor arms and optional steel cable trays. 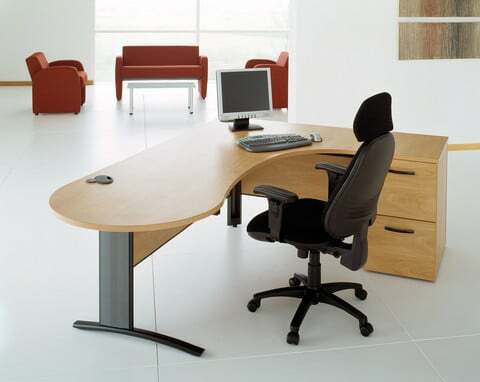 100% recyclable, these desks also feature 25mm thick tops in a range of shapes with impact resistant ABS edging. 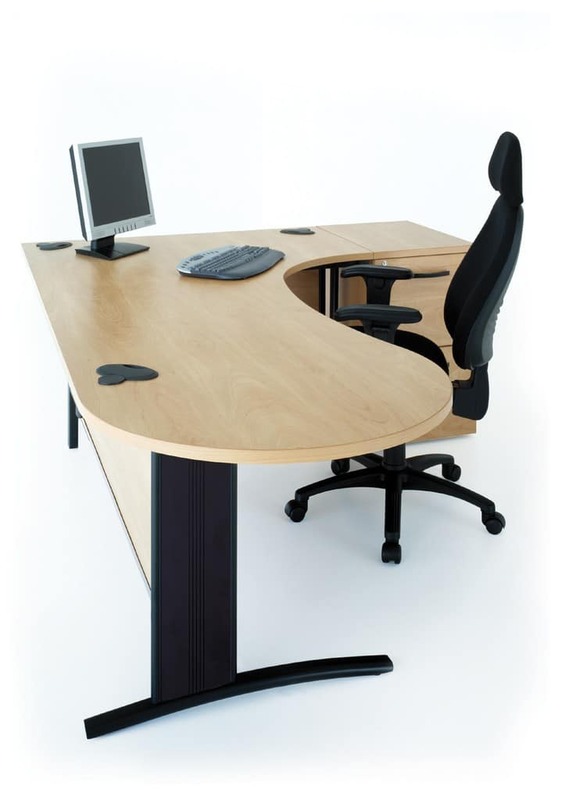 Optional end frame covers and vertical plastic cable spines keep the desks organised, while standard oval three part cable ports ensure quick and simple cable threading.